ANDREW LEE is the Chief Executive Officer at Wormald. Andrew was appointed CEO following the sale of Wormald from global fire and security company Tyco, where he spent more than 22 years in operational and leadership roles. Andrew has significant fire industry experience both in the Pacific and across Asia and the Middle East, and has served as a Director of the Tyco businesses in the Pacific and the Tyco-Lend Lease Joint Venture. He holds an Honours degree in Psychology and a Masters degree in Finance, both from the University of Sydney. JOHN LYNCH is General Manager of Wormald’s Business Support Services with responsibility for Wormald’s business development, national account management and distribution teams. 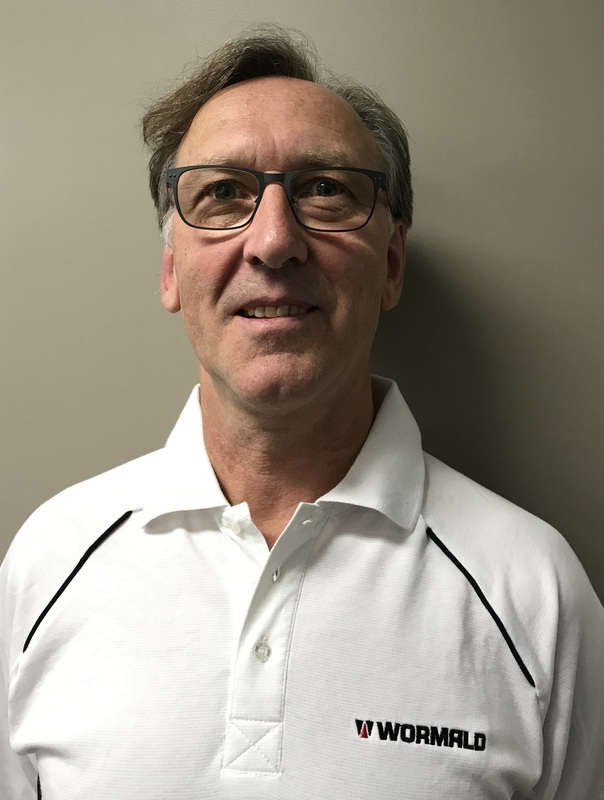 John is responsible for the strategic sourcing of many of Wormald’s products and also oversees the vehicle fire suppression system management teams. John joined Wormald in 2001 and has over 13 years experience in the fire protection industry. Prior to joining Wormald, John held sales and marketing roles within the food and FMCG industries. John is an active member of the Fire Protection Association of Australia, Technical Advisory Committee, TAC 3/7 – Portable Fire Extinguishers and Hose Reels – and the TAC 17 – Emergency Planning. JUSTIN MORRIS is National Engineering Manager of Wormald Australia; responsible for the engineering practices and introduction of new fire protection systems and technologies nationally. Justin has extensive experience in the design, installation and commissioning of ‘Special Hazard’ fire safety systems including gaseous agent systems, water spray, water mist and foam systems – particularly for mission critical facilities such as data centres. Prior to his current role, Justin led Wormald’s Engineering Support Group in Asia, where he supported the installation and service businesses in Singapore, Malaysia, Hong Kong, China, Korea, India and the UAE. TONY JONES is General Manager (Sydney), Wormald Australia and is responsible for the service and installation business across Sydney. Before this role Tony was Regional Operations Manager with Wormald. Tony joined Wormald in 2002 and has over 20 years experience in the fire protection industry. Prior to joining Wormald, Tony was an accredited building surveyor and an associate of a building consultancy business. Tony holds a Masters Degree in Fire Safety & Design, a Graduate Certificate in Performance Based Building & Fire Codes and a Bachelor of Science (Environmental Health). Tony is currently undertaking an MBA. STEVE OXLEY is Wormald’s National Product Manager for Vehicle Fire Suppression Systems. Steve is responsible for vehicle system design and development, troubleshooting, fire risk assessments and sales and training both nationally and internationally. Steve joined Wormald in 1976 and has over 35 years’ experience in the vehicle fire suppression industry. Steve is an active member of the Fire Protection Association of Australia, Technical Advisory Committee, TAC11/22 – Special Hazard Fire Protection – and the Technical Committee FP-022 for the Australian Standard AS5062-2006 – Fire Protection for Mobile and Transportable Equipment. SCOTT MEEKIN is the Business Development Manager QLD/NT – Mining for Wormald. Scott has more than 10 years’ experience in the mining industry and has worked in senior positions within the business and other major organisations. Scott is a highly motivated professional and client-focused relationship manager. He understands the importance of knowing the vision for a developing partnership, understanding the partners’ vision, and being adaptable enough to use any vehicle to get to that vision. STEPHEN CAPLE has spent the last 37 years in the fire industry.Starting as a sprinkler fitter, he joined the NSWFB (now Fire & Rescue NSW) as a full-time firefighter for five years before returning to the construction industry as a project manager. Stephen moved to Melbourne for four years running the Victorian operation of Metropolitan Fire Systems (MFS) before returning to Sydney where he continued to work as a project manager. Tyco acquired MFS in 1998 and in 2000 he took over the management of Firepipe, the Tyco pipe fabrication shop in Sydney. In 2005 he changed roles again to become the Sydney Drawing Office Manager for Wormald and then in 2010 transferred to the Tyco Technical Services Group as the Technical Manager for Fixed Systems. He continued in that role within the Wormald business after Tyco divested Wormald in 2016. Stephen is currently a member of FPA Australia TAC/4/8/9 and TAC/11/22, and also represents FPA Australia on the Standards Australia committees for FP-011 & FP-004.